Clothing recycling just got a whole lot easier, thanks to a nationwide roll-out of “Clothes the Loop,” a take-back/recycling program designed by The North Face to divert textiles from the landfill. Two years after the outdoor-apparel company pilot-tested the scheme at select locations, Clothes the Loop is now available at all 83 of The North Face retail and outlet stores across the United States. The move couldn’t come at a more opportune time. Americans bin roughly 24 billion pounds of post-consumer textile waste every year, according to the U.S. Environmental Protection Agency. That number, by nearly all accounts, is only getting bigger. 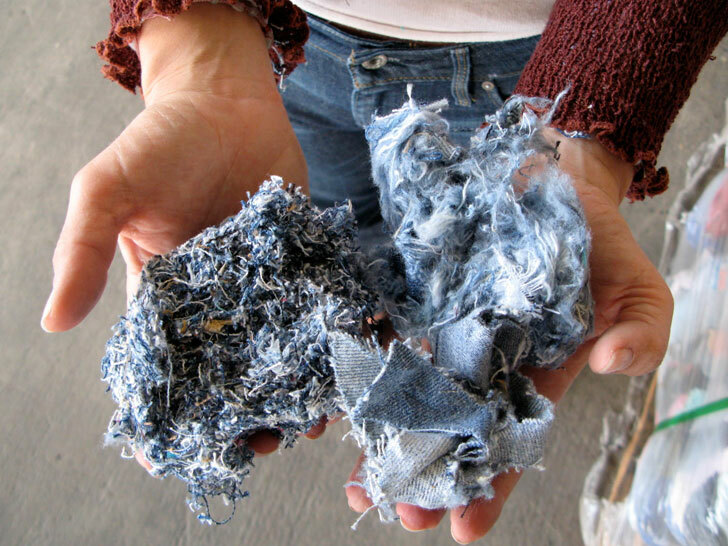 Textile recycling, on the other hand, can take away some of that sting. USAgain estimates that if 300 million Americans recycled just one T-shirt, we could spare up to 210 billion gallons of water while keeping about 1 million pounds of carbon dioxide from the atmosphere. In partnership with I:Collect, Clothes the Loop has salvaged more than 14,540 pounds of apparel and footwear since 2013. Its goal for 2015 is 100,000 pounds, says Adam Mott, director of sustainability for The North Face. Collected items are sent to a recycling center where they are sorted into more than 350 categories that determine if they’re to be re-worn, repurposed, or recycled into raw materials for products such as insulation, carpeting, stuffing for toys, or even clothing and shoes. Any proceeds from the program go to the Conservation Alliance, an industry-backed fund that supports grassroots environmental causes through the largesse of founding members such as Patagonia, REI, and The North Face. Another reason why it pays to recycle? Anyone who deposits used clothing in a Clothes the Loop bin earns an instant discount on a future The North Face purchase. The North Face will even donate an additional $5 to the Conservation Alliance for any drop-offs from now through April 26. Clothing recycling just got a whole lot easier, thanks to a nationwide roll-out of "Clothes the Loop," a take-back/recycling program designed by The North Face to divert textiles from the landfill. Two years after the outdoor-apparel company pilot-tested the scheme at select locations, Clothes the Loop is now available at all 83 of The North Face retail and outlet stores across the United States. The move couldn't come at a more opportune time. Americans bin roughly 24 billion pounds of post-consumer textile waste every year, according to the U.S. Environmental Protection Agency. That number, by nearly all accounts, is only getting bigger.